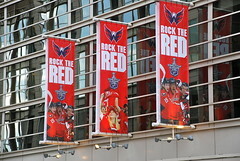 The International Spy Museum wants to reward you for rocking the red during the remainder of the NHL season. Caps fans are welcomed to a 20% discount on Spy Museum store purchases, general admission, or Café orders. All you’ve got to do is display your playoff ticket stub at the time of purchase.